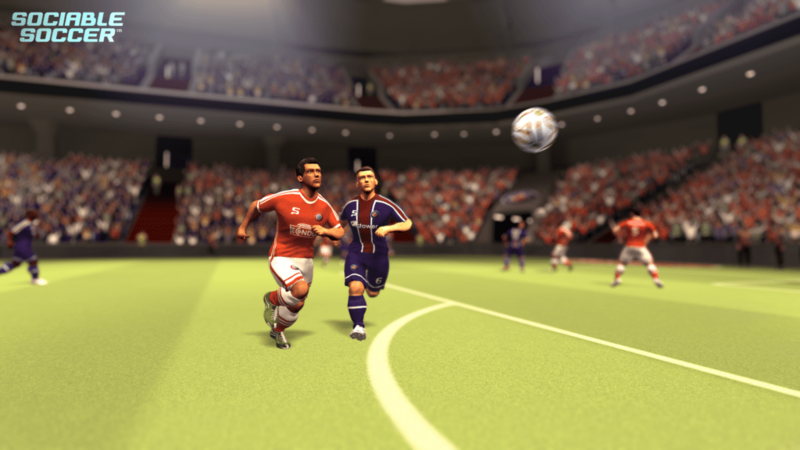 London, United Kingdom – September 28th, 2017 – Legendary football game designer Jon Hare in partnership with “class act” Finnish studio Combo Breaker, today announced that Sociable Soccer, their much anticipated, fast-paced, arcade take on the beautiful game, will launch on October 12th on Steam Early Access. 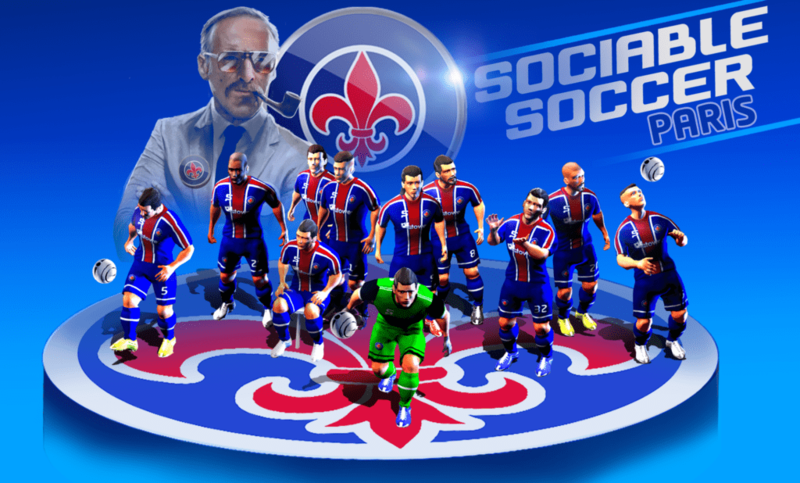 Easy to play and hard to master with a single player campaign mode, classic local multiplayer and online multiplayer available from launch and a 30,000 player card collecting online team mode in the works.Sociable Soccer is a perfect blend of the instant playability of yesteryear and the power of modern technology. The team also released a new mini trailer to celebrate the announcement. Hare earned his ‘Godfather of football games’ moniker from designing two of the biggest football franchises of the 20th century in Microprose Soccer and the genre defining Sensible World of Soccer, one of the 10 most influential video games of all time according to Stanford University. 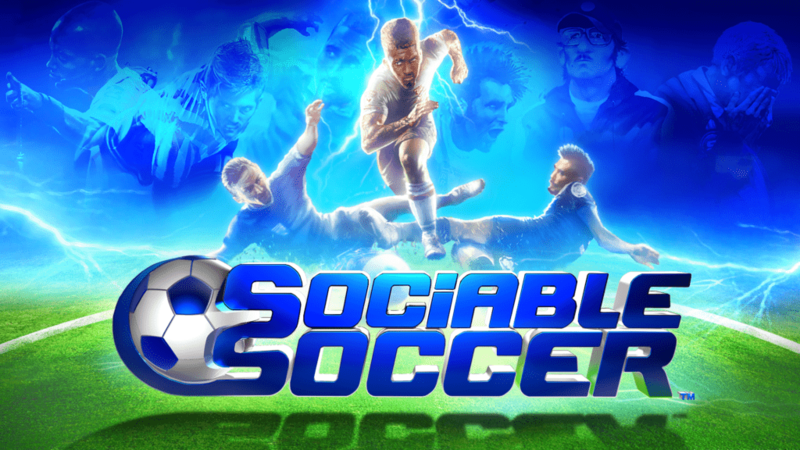 Faithful to his sports game pedigree Sociable Soccer features over 1,000 club and national teams from around the World, with 67 international football trophies to compete for and lighter friendly game modes including trademark custom teams. Beneath its sleek visual presentation lies a game of significant complexity with pinpoint controls and tactical depth. Sign up and grab the game on release day! 5 new screens made for the European Cup Wednesday. 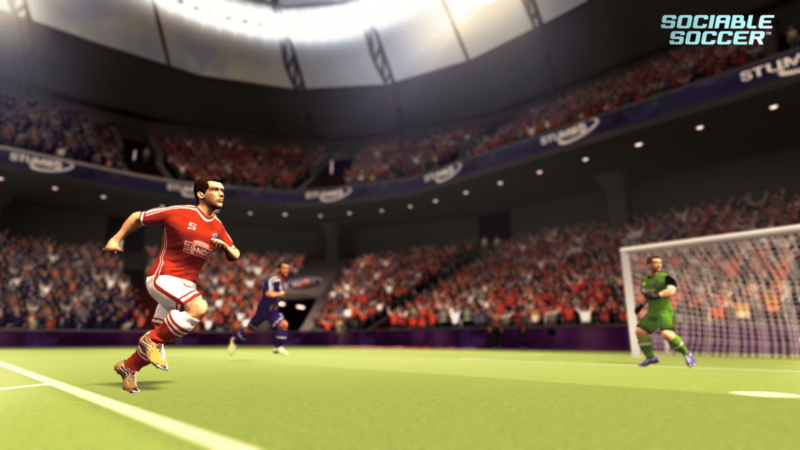 We released a few screens for the European Cup games. They show Paris facing Bayern. They also show two of the managers you can upgrade to by winning challenges in our World mode. What do you people think? We’d like to give a big thanks to our great fan base for your continuous support during the last weeks since Gamescom. We’ve had a lot of feedback on the game and previews from the show have been great. We would also like to apologize about the confusion related to the EA release date. Late summer is an English term that can be interpreted on the words for non English native speakers but actually means “summer warmth that goes beyond the summer months” in this context. Hope that clears much of the confusion! At the office our team is working on many different things for the Early Access release . 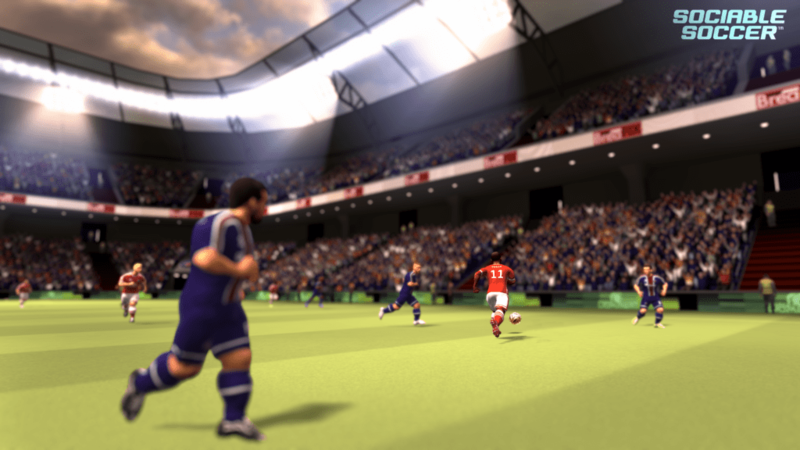 Menus, World Mode, tactics, stadium details, crowd and player characters improvements, and many gameplay additions are being inserted. On the marketing side we are currently looking at a list for sending out preview builds for streamers and media. Release date on Steam Early Access PC will be – 12th of October! New discussions about the game are taking place at reddit and at the steam discussion forum. Please go there if you wish to have a bigger discussion about topics of interest. We try to answer most of the posts as well as we can. A big thanks to all of you who help spread the word about the game out there – we really, really appreciate it! We posted an interview with Czech magazine Gamifique last week which kind of went under the radar for a lot of people because of the language barrier. Here it is in english. A good read. The original can be found here. 1) I read on you official page that Sociable Soccer is Rocket League in boots. Did you take inspiration from this game? We do not exactly take inspiration form Rocket League, but it is a good benchmark of the AA standard, superfast online gameplay and friendly competitiveness of Sociable Soccer. 2) Can we expect czech or slovak national team in your game? 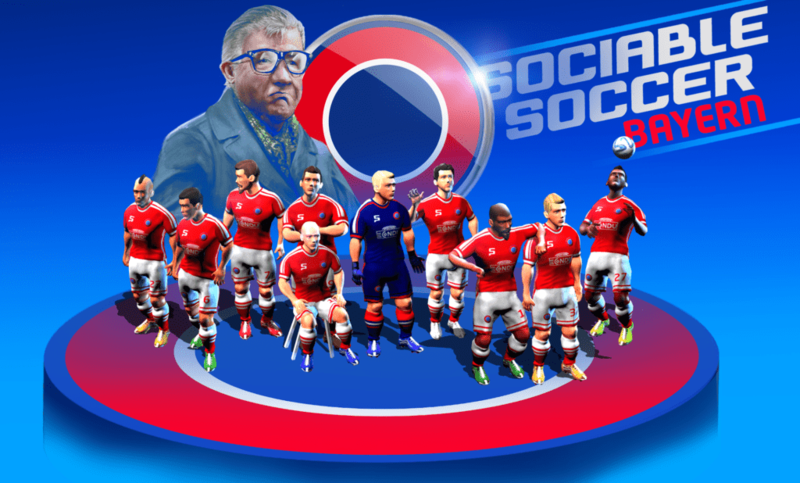 3) Where did you get that name – Sociable Soccer? 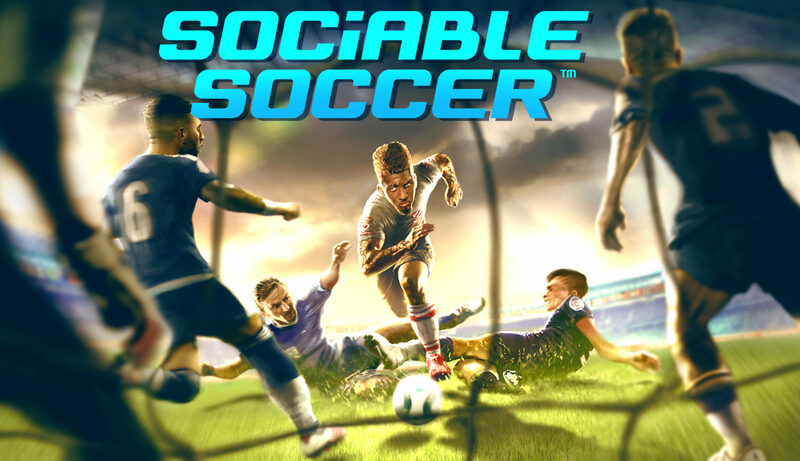 Well it is a play on Sensible Soccer and the fact that the game is very sociable, which means someone who likes to socialize and share the fun of the game. 4) Why did you choose this graphics design? 5) Will be the console version different from PC or mobile version? Playstation, XBox and PC will be quite similar, Nintendo Switch is a bit different, touch screen devices like phones are different again, and VR is totally different of course, but all play using the same underlying system so all platforms can play against each other. 6) Can we expect manager mode or financial management of club? There are a number of game modes bit no financial management of the club. All games in all game modes can be played just by setting up the team and watching AI or by playing with a pad, keyboard or touchscreen. 7) You claim that your game will be deep. It will be just in terms of tactic or in number of features? 8) On your Steam page you claim that there will be esport tournaments after full release. Do you have any plans now, or you will consider it in next months period? 9) Now about multiplayer: Do you plan any competitive matches or rankings? Online you can play in friendlies with friend, in DIY competitions and in the online league where you represent your club and collect player cards from a deck of 30,000 different players to build up your team and play online against fans of other club. All of our online players are ranked in a ten league system. Later we plan for players to be given a chance to play in clans and enter esports tournaments to enhance their reputation. 10) How exactly will multiplayer for eight players work? 11) Do you want to expand your game on Nintendo? 12) Will be Sociable Soccer just in english, or in any other languages? 13) Do you now the exact price of your game, or you still demand leg and arm from your fans? The price will be in line with other AA titles on the market. Arms and legs should not be required. My hope is that the game is as successful as Sensible World of Soccer that was played by about 20 million people and got universal 90%+ reviews, but I have no expectations. Hopefully we can turn a new younger generation of fans onto fast paced cross platform arcade football, but only time will tell. 15) Do you have any exact date of release?